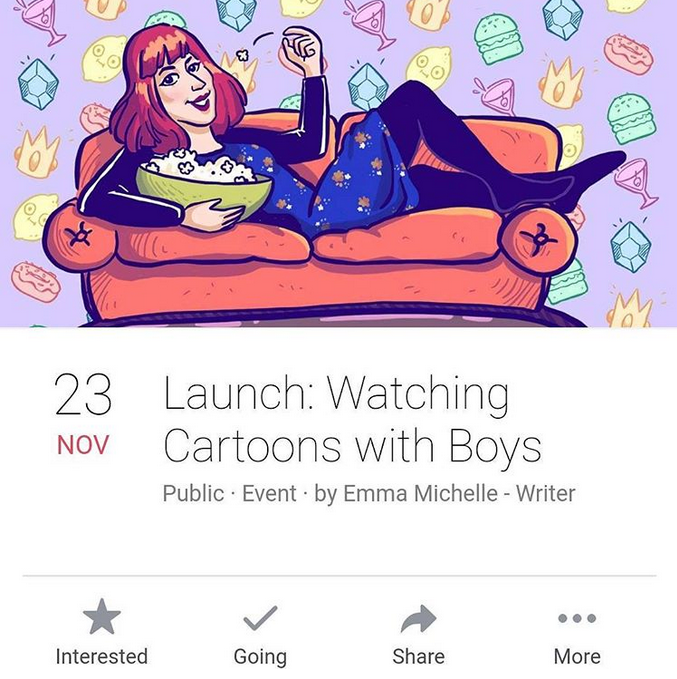 My self-published book Watching Cartoons with Boys will be launched on Thursday 23 November and I’m so excited to share it with you. Watching Cartoons with Boys is a collection of short stories and personal essays that catalogues different cartoons that have been important to me at different stages of my life, as well as some of the relationships that have developed in parallel. The book will be launched in Melbourne on Thursday 23 November at Brunswick Bound. The event starts from 6:30pm and copies will be available for purchase and signing.